It has been traditional to use de-mineralised water in the wines and spirits industry to eliminate interferences when product is diluted from distilled/export strength to bottle strength. This is because when you have a naturally low conductivity mains water supply in areas such as Scotland, Wales and parts of England plus other similar areas of the world the interval between regenerations on a demineralisation plant are extended. This has meant in the past that the volume of waste water from a RO plant and its cost has been more than the total cost of producing demineralised water even including for the provision of acid and caustic regenerants. What is often forgotten on demineralisation systems especially if you require a fast regeneration cycle is the fact that you consume already produced expensive demineralised water to regenerate the anion and cation columns to ensure a fast regeneration time otherwise the plant can be off line and not producing treated water. Coupled with this and the need to neutralise effluent before discharge to sewer any system that eliminates dangerous regenerants reduces the overall level of effluent discharged and allows longer service runs has to be seriously considered. 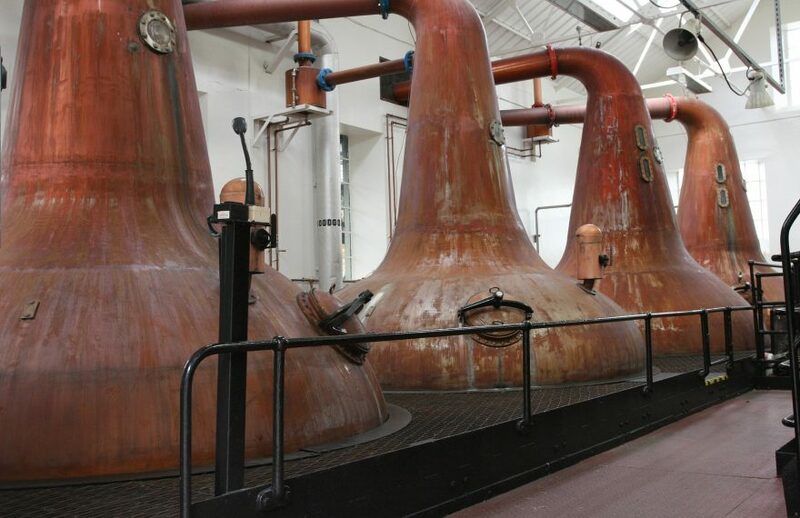 A recent series of installations at different Scotch whisky distilleries has been successfully implemented. Recovery rates of 90% are in continuous use and there is the added advantage that certain organic contaminants that can cause taint and taste issues are eliminated by the use of reverse osmosis due to the nature of the manufacturing process. In order to achieve this level or water recovery it is necessary even on a naturally soft water supply to pre-soften the water and use this in combination with an organic scavenger. The overall cost of production including water and salt is well below that of a traditional demineralisation. In order to keep the water fresh if there is no demand form the clients own stored water system, water is recirculated around the whole system to ensure no water is kept static. The systems have now been in use for over 2 years with no production issues.